Zachariah Etienne, an assistant professor at West Virginia University, has been heading what will soon turn out to be an international volunteer computing effort. The public will be sent invitations to provide their computers to assist the scientific community in unraveling the secrets hidden in gravitational waves observed during the collision of black holes. LIGO’s first-ever observation of gravitational waves from black holes smashing together in 2015 gave way to a new path on the universe, allowing researchers to detect cosmic events spanning billions of years and to gain better insights into the composition of the Universe. For various researchers, the discovery also fueled the expansion of attempts to more comprehensively test the theories that help describe the way universe works—with a specific focus on deducing maximum possible information related to the black holes before they collide. Gravitational waves were first predicted in 1916 by Albert Einstein and are ripples or disturbances in space-time that encode significant information regarding varying gravitational fields. From 2015 when the discovery was made, LIGO and Virgo have observed gravitational waves from eight additional black hole collisions. LIGO and Virgo began new detection runs this month at sensitivities like never before. As our gravitational wave detectors become more sensitive, we’re going to need to greatly expand our efforts to understand all of the information encoded in gravitational waves from colliding binary black holes. 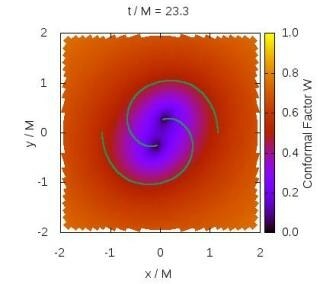 We are turning to the general public to help with these efforts, which involve generating unprecedented numbers of self-consistent simulations of these extremely energetic collisions. This will truly be an inclusive effort, and we especially hope to inspire the next generation of scientists in this growing field of gravitational wave astrophysics. Zachariah Etienne, Assistant Professor, West Virginia University. His group—as well as the scientific community in general—is in need of computing capacity to run the simulations needed to cover all possibilities in relation to the properties and other information hidden in gravitational waves. “Each desktop computer will be able to perform a single simulation of colliding black holes,” stated Etienne. Etienne and others believe that seeking public help through the use of enormous numbers of personal desktop computers would drastically increase the throughput of the theoretical predictions of gravitational waves required to derive information from detections of the collisions. It is well known that black holes are made up of two physical quantities— mass and spin. Spin, for instance, can subsequently be broken down further into speed and direction. Therefore, Etienne’s teammates are investigating a total of eight parameters when LIGO or Virgo observe waves from the collision of two black holes. The simulations we need to perform, with the public’s help, are designed to fill large gaps in our knowledge about gravitational waves from these collisions by covering as many possibilities as we can for these eight parameters. Current black hole simulation catalogs are far too small to properly cover this wide space of possibilities. This work aims to provide a critical service to the scientific community: an unprecedented large catalog of self-consistent theoretical predictions for what gravitational waves may be observed from black hole collisions. These predictions assume that Einstein’s theory of gravity, general relativity, is correct, and therefore will provide deeper insights into this beautiful and complex theory. Just to give you an idea of its importance—if the effects of Einstein’s relativity theory weren’t accounted for, GPS systems would be off by kilometers per day, just to name one example. Etienne and his colleagues are developing a website with downloadable software based on the same Berkeley Open Infrastructure for Network Computing, or BOINC, system used for the [email protected] project and other scientific applications. The free middleware system is developed to help exploit the processing power of thousands of personal computers across the world. The West Virginia researchers have named their project [email protected] and expect to see it up and running later this year. They have already created a website where the public can start learning more about the effort: https://math.wvu.edu/~zetienne/SENR/.